Time to open your next present! 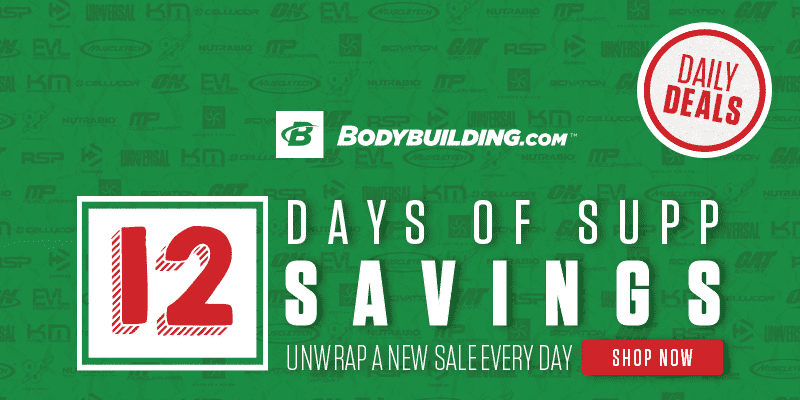 12 Days of Super Savings at Bodybuilding.com! Dear Santa, all I want for Christmas is gainz! Bodybuilding.com are internationally famous for their excellent fitness articles on exercises, workouts, supplements and bodybuilding community, all designed to help you reach your goals! Check out all their latest Christmas deals and start 2018 on the right track towards becoming the best athlete that you can be!